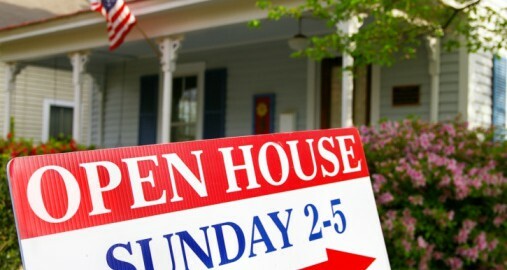 Tips to Capitalize on Your Raleigh Open House | Puck Realty, Inc. If you have a Raleigh open house scheduled in the near future, it is important to make sure you are fully prepared for the event. If you go into it halfheartedly, you will be lucky to spark an interest in anyone, but if you consider these tips, buyers are sure to fall in love with your Raleigh home. 1. Clean, Clean, Clean – Buyers are very turned off by a dirty home. Keep in mind that they will check the water pressure, so clean the grime behind the faucets and they will probably look inside cupboards and closets, so don’t just stuff everything in there to hide. 2. Make the First Impression Count – Their first impression does not happen the minute they walk through the door. It takes place the second they pull up to your driveway. Curb appeal is vital. 3. Go Green – Eco-friendly paint, energy efficient appliances, water saving faucets, and sustainable flooring are not just passing trends. Buyers are looking for eco-friendly features, and those who are not are sure to at least appreciate the benefits they reap from them. 4. Play Handyman – Nail holes in the wall, running toilets, and closet doors that has been off-track for a year now are easy things you can repair yourself. 5. Address Odors – Pet and cigarette odors are huge turn offs for buyers. It is really important that you do everything you can to get rid of them. This may mean steam cleaning carpets and furniture, washing curtains, etc. 6. Paint – Fresh paint will brighten up the place, especially if you are using white. Sometimes, just repainting window sills makes a huge impact. If you have a bright paint color palette consider replacing them with neutrals. This is especially important in the bedroom. Also, the master suite really needs to be gender-neutral, so you don’t isolate certain buyers. 7. Create a Video Tour – If you think back to when you bought the house, you probably got home from viewing it for the first time and couldn’t remember a lot of features. Wouldn’t it have been nice to have a video tour or DVD to look at? 8. Write an Essentials List – Write a list of all the places they need to know about, such as the best Chinese takeout venue, closest dog park, most reliable Internet provider, etc. For a Raleigh open house to be successful, you need to be prepared. Clean, declutter, and freshen it up, and make sure you spruce up the front yard. To seal the deal, send them home with a video tour and a list of essentials that will make them feel like they already are familiar with the area.